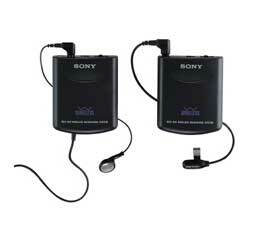 Sony's WCS-999 wireless microphone is a great idea for making home movies or demonstration videos. Clip the microphone and transmitter to your subject and the receiver and earphone to yourself. The 900MHz frequency gives you long-range reception that even transmits through objects that get in the way.